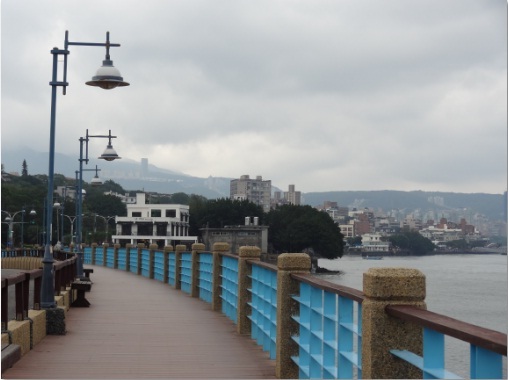 It’s our 3rd day in Taipei, we originally planned to go to 淡水’s 渔人码头 (Fisherman’s Wharf in Danshui)， followed by 五分埔 & 饶河夜市，We left the hotel around 10am for our breakfast. We went to an old coffeehouse (南美) at 西门町for our breakfast. The coffeehouse is 15mins walk away from our Swiio hotel. They serve average coffee and very nice sandwiches. We ordered turkey ham sandwich with egg. The coffeehouse beside 南美is 峰大咖啡， they also serve breakfast and top grade blue mountain coffee which is very expensive. After having breakfast, we passed by the red building and took some photographs. It’s too bad we cannot get a good photograph of the red building due to the lorry parking at the front. After that we took the MRT to 淡水 and took red bus 26 to 渔人码头（the last stop）. We bought a cup of hot chocolate and walked to 情人桥。 It was peaceful and relaxing, feeling the strong breeze blowing at our face while we drink our hot chocolate! The harbour is really an ideal place for friends to sit down and have a good heart-to-heart talk. After that, we took the same bus back to 淡水 mrt station. 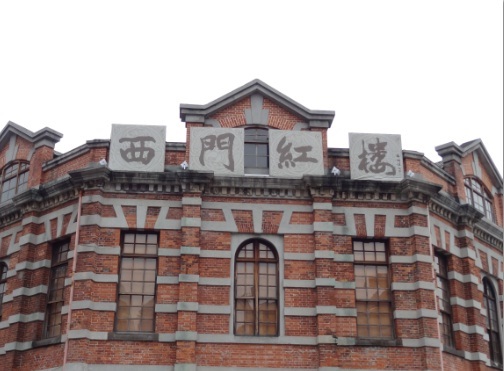 Just across the road, we walked to the streets of 淡水. 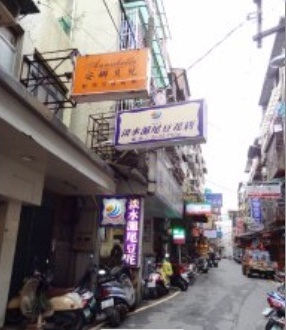 We searched for a famous beancurd stall which is a very old shop which has been selling beancurd for a long time at 淡水. We finally found the shop following a map and realised that there are many different kinds of toppings to go with our beancurd. We can even choose Almond flavoured beancurd. 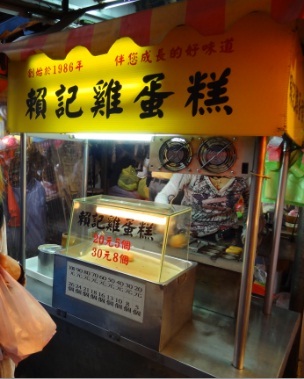 After eating, we continued our shopping at 淡水night market, we bought different kinds of food from the street stalls. Fried Onion pancake, egg cake, guava, Taiwan sausages. At 淡水. We saw the Naraya shop and bought a few items from there too. The night market is bustling with life with a few street performers. We saw some young guys performing street dance, an old man playing the flute and a blind man playing some instruments which looks like the clarinet. The man playing flute and clarinet was selling their own CDs at 100NT per pc. My friend bought some CD from the man playing flute, while I just sat there enjoying the music which he played to the latest Chinese pop music. After such a tiring day, we did not have time to go 五分谱 or 饶河夜市. We actually planned to look for the famous Mayday’s shop ‘Stayreal’ at 忠孝复兴station. However, we were too tired and carrying too much stuff, therefore we headed back to 西门町, for a rest at our hotel. Our trip on this day is not very productive as we didn’t cover much places, we only covered 淡水for the whole day.